Caring for aging parents is something many of us have not been prepared for. As we grow older, not only do we develop new familial relationships with the children that we raise, we often also get to experience new relationships with those who raised us. Witnessing our parents age and change can bring up a host of emotions including anxiety, sentimentality, sadness, guilt and joy. There are many vulnerabilities you will face that you may have never considered before. when caring for aging parents.. Consider how you cope with the process of aging and the ways the body and mind change. How does it impact you emotionally to see your mom or your dad in their late years of life? You likely have had relationships with elderly people in your life, but when it’s your own mother or father aging and changing this concept of mortality really begins to hit home. The idea that we all age, and we all will face some loss of the independence and the vitality we have enjoyed in our youth can be a wake-up call. It can awaken a sense of existential angst or even dread which is something we all have to work through and beyond. It a process indeed, as shown at Psychcentral.com. Facing the reality of your parents’ aging requires dedication to being fully present with acceptance and relishing each moment we have. You can do this by spending quality time with your parents, choosing to see that they are still as fully human as they always were, capable of a whole range of thoughts, emotions and there is still a potential for enjoying a very rich relationship there. As your parents grow older, it’s not uncommon for the relationship between the two of you to go through something of a reverse. You might find yourself acting more as a caregiver, and the added stress of worrying about your parent and helping them while you are also raising your children can lead to a certain kind of “burn out.” This is known as compassion fatigue. Remember to attend to your own self care, and to know when you need a break. As their health declines and they are unable to get about as they did in the past, your parents may be more dependent on care than ever before. If they’re in a nursing home or living with a nurse, it’s true that all their needs are being fulfilled most of the time. However, we must remain vigilant and tuned in. 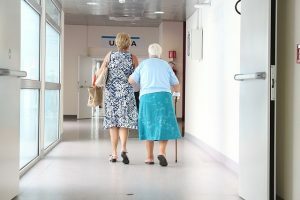 Nursing home abuse and neglect is a real danger, and you might read more about this at GBW.law for details. Be aware of the risks and make sure that you’re not being negligent. Check in with your parents, about their wellbeing, and listen carefully. Don’t downplay concerns they express. Even more common for elderly is the experience of isolation. Our social circles tend to shrink as we grow older, but they don’t necessarily have to. Helping your parent spend more time with your family or helping them join local hobbyist and social groups that are designed for the elderly can easily dispel the notion that they can’t keep strong social links as they age. As Psychologytoday.com shows, isolation is a major risk factor in a whole range of mental health conditions, so it’s important to combat it as best we can. It’s important to keep the aging-parent-adult-child relationships strong through communication and regular meaningful connection. Being there to hear concerns and to see the warning signs of risks to their wellbeing is important, as is being able to continually see and adapt to the changes in your parents and your relationship with them. Too often, adult children of aging parents don’t manage their own emotions and end up coping by avoiding contact, leaving them out of sight and out of mind, This avoidance mechanism can create greater vulnerability and increase risk of escalated physical, emotional and mental deterioration for your parents as well as unresolved emotions that are compounding and will eventually need to be faced. Some of the links below are affiliate links. 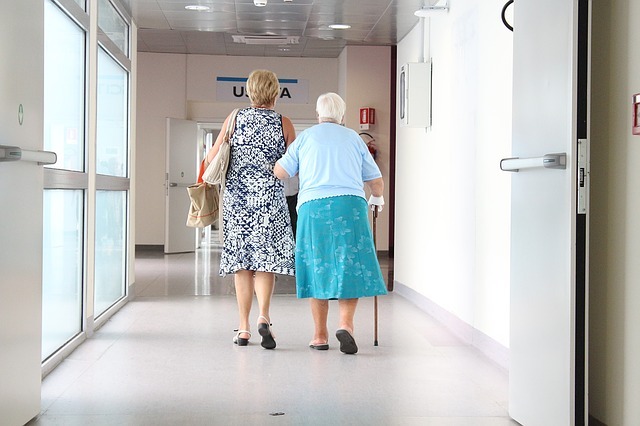 A wonderful website full of accessible and important information about caring for aging parents is called Aging in Place provides A Guide to Caring for Elderly Parents. This book below called How to Care for Aging Parents, 3rd Edition: A One-Stop Resource for All Your Medical, Financial, Housing, and Emotional Issues is touted as an indispensable resource by the AARP and “A compassionate guide of encyclopedic proportion” by The Washington Post. Winner of the Books for a Better Life Award, it is updated with everything you will need with regard to caring for aging parents. The Conscious Caregiver: A Mindful Approach to Caring for Your Loved One Without Losing Yourself is a wonderful resource that honors how important your own self-care is in order to be present in the caring for aging parents. Brining mindfulness practice into the process allows a greater ability to attend the needs of tough situations with compassion for yourself and your parent. And if you have a parent suffering from disease that often comes with late stage of life the book Caring for Aging Parents: A Manual of Treatment for the In-Home Eldercare of Family Members Suffering Dementia, Alzheimer’s and other Chronic Diseases is an invaluable resource.